Chief Inspector Van Veeteren is on holiday in a seaside cottage when he gets a phone call asking him to investigate a murder committed a few miles away. A man has been slain with an axe. It’s the second such murder in the space of a couple of months. The local investigative team have made little progress on the first and it’s time for some outside help. There appear to be very few clues, with no links between the victims and little progress is made. Then another murder is committed. Local detective Beate Moerk is determined to solve the case and make a name for herself. Then she disappears. It seems she might have reached Borkmann’s point – the stage in an investigation where no more clues are needed to solve the case – before the others. And in doing so attracted the attention of the killer. 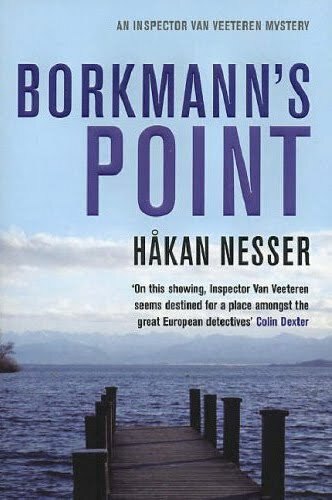 The strengths of Borkmann’s Point is the pacing, atmosphere and everydayness of the narrative. The storytelling has a nice cadence and doesn’t seek to shock or ratchet up the tension too early. Instead we’re gradually introduced to the characters and the investigation, slowly building up a picture of the police officers, their lives and ambitions, and patiently working towards a resolution. The plot is fine, although I’d reached Borkmann’s point in terms of identifying the killer very early in the novel; pretty much off the first clue. I certainly didn’t know with any certainty, but for some reason I just had a gut instinct that solidified as the story progressed. It’s a solution I’ve come across in other police procedurals and it seemed to fit. 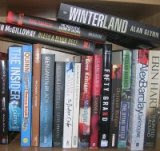 As a result, a great deal of the edge was taken out of the read, and this might not be the case for other readers. Overall, a pleasant enough read and I’d try other Nesser books, but fairly standard police procedural fare.